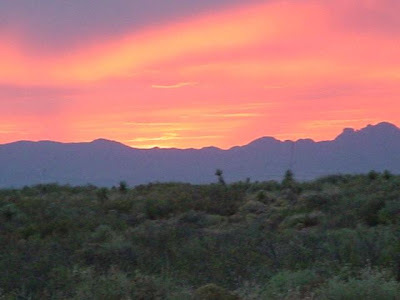 I have to admit there is a big benefit to living in the Southwest. The beautiful sky in the evening! The different colors are usually the dust blowing around up in the athmosphere, and the clouds when were are blessed with them. Every evening you can count on some color, and when I get a chance I snap a few pictures. More often than not I just pause to appreciate the splendor. 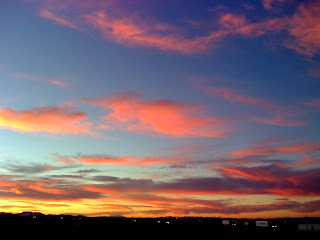 Mom (Sandra) always loved those sunsets - she used to always tell me it was one of her favorite reasons to live in Arizona!